I don't usually work with cookies much but today I did. And this tool is the best tool I've ever seen for managing cookies. Pretty comprehensive. It is of course Firefox specific, unfortunately. Was utilizing these today. Will keep this post updated with major HTML5 helps. This book is stripped down. Way stripped down. There are no extra words. No extra thoughts. In fact, there is very little content in the book, relatively speaking. It’s an easy read. 185 pages. But if you remove all the graphics and change the line height to 1 instead of 1.5 or 2, I would bet the book is no more than 100 pages. The reason I’m so impressed with the paired-down copy is that I have read many other UX books and they do not do this. For an author to actually say less, means he has to figure out what he is really saying. That’s hard work. And what is true in copy is also true visually. To pair down means you have to go through the painful process of prioritizing, and then tossing some things. But this creates an excellent user experience. Now the user doesn’t have to wade through your words to figure out what you mean or wade through your visual layout to find out what the page is about. It facilitates a crystal clear experience which in turn requires no thinking. Here’s what I learned from “Don’t Make Me Think”, which I think is the best usability book I’ve read yet. Usability is not rocket science. Usability is so important that it is better to do it “poorly” than not at all. People don’t use things that are hard. We don’t read pages. We scan them. Feverishly. There’s no substitute for testing. The point of testing is not to prove or disprove something. It’s to inform your judgment. Worthwhile testing can be done with just three or four people. The book then moves into usability testing (it’s relievingly easy/non-stressful) and talks about how to handle internal requests for something that will definitely result in poor usability. Overall, the book provides a way of thinking that is beneficial, attainable, and even reassuringly logical/simple, and then models that thinking in the user experience of the book itself. It was initially written in 2000 – which would usually mean I wouldn’t touch the book – but fortunately, while technology changes at the speed of light, design principles do not. 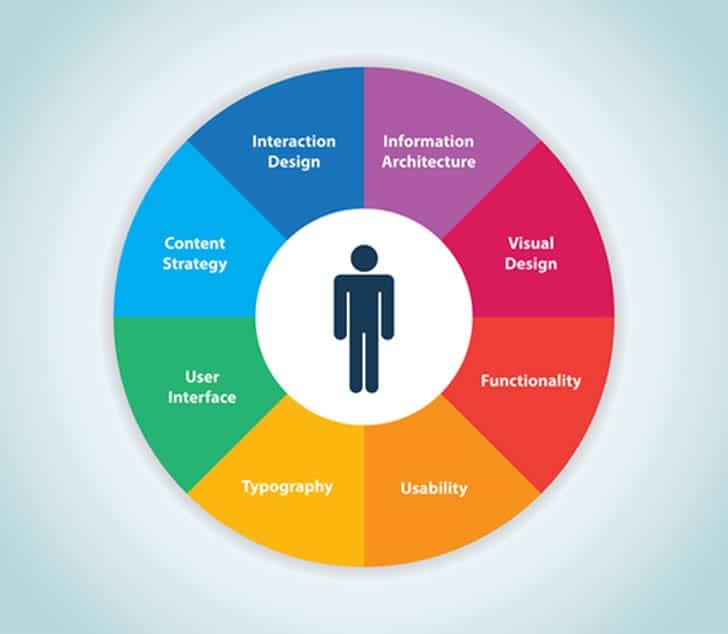 User Experience Designer – someone who specializes in one or more of the following: user research, user testing, information architecture, usability, wireframing, prototyping, or visual design. I just pushed live all files to redesign the look of this site. The graphic design was done by Val Broucek. I coded/developed the theme. And I am sure there are a few kinks to work out. Highlights: responsive design, collapsible left nav, HTML5, simple. I just downloaded and installed, and partially configured, Sublime Text 2. Notepad++ wasn’t as robust as I wanted, and I like the idea of an IDE that is more configurable than Dreamweaver. And Sublime Text 2 has come with a lot of fanfare. I’ve stuck with Dreamweaver so long partially because it is as configurable as it is, but mostly because I like software doing as much of the grunt work for me as possible, for efficiency and accuracy. (Why should a spelling error get in my way if the software can take care of that for me?) What was so awesome about Dreamweaver? Syntax checking. But, Sublime Text 2 has this! As one of the Packages (which can be thought of as a plugin). It’s called “SublimeLinter” and, on Windows, requires that you also install Node.js. So, after doing all that, she works like a charm! After having used Sublime Text 2 for about 10 minutes, I highly recommend it. And, I imagine, I have a lot of learning to do. But I really like it’s interface, so it should be fun. “User Experience” is an awfully vague term. We’re all users. And we all experience. It appears that everything in life is user experience. Talk about not differentiating anything from anything. Now that I want to be a User Experience Designer, I need to be able to explain this concept to both techies and non-techies (because quite honestly, us techies are confused too). Following is my early-on, initial attempt. The primary problem with “user experience” is that it’s a new term in a new-ish industry. And things in transition are always messy. To quote the all-mighty Wikipedia on the topic, “The exact definition, framework, and elements of user experience are still evolving”. The industry in this case is IT, and the challenge is connecting non-human data with humans. We do have the option of simply struggling and not addressing this challenge, but in a capitalistic society, that’s not going to work. People want to make money, and you’re going to make more if your users/customers are happy. So let’s get past the obvious part of user experience: usability. Everyone knows a digital interface should be easy to use, or “user friendly”. One of the most well known books in UX (user experience) is “Don’t Make Me Think”. The title of this book alone is probably as valuable as its contents. Further, if you can take one click to do something rather than two, it’s almost always better. Since we are all users, we all understand the general concept of usability (which is not to imply that it’s easy to implement). But what else does UX encompass? These are: Information architecture (structuring and organizing information), wireframing (planning the layout/flow of pages before visual design and development starts), visual design (look, feel, and layout), prototyping (interactivity/functionality on the page), and user testing (to achieve the aforementioned good usability). Generally, UX design is a more strategic/conceptual layer in the process than graphic design or development, and usually occurs before graphic design and development. I will keep exploring these concepts and will post as I go. UX is still establishing itself, and it’s exciting to help make mass amounts of data a more organic, integrated, and natural part of our lives. A somewhat helpful graphic I found. It’s idealistic but also fascinating. Zuckerberg believes all phones should have internet access and all people should have phones. And he’s trying to help. Why? “I think it’s really good for the world.” He also says other far more interesting things in the article. Read it! One thing’s for sure – mobile development/prominence will be increasing. Welcome to my blog! The purpose of this web site is to present my professional abilities to current and potential employers. A secondary purpose is to provide myself a sandbox for ideas in which I can grow my skill set, both technologically – building/maintaining/tweaking (and probably breaking) parts of this web site – and conceptually – exploring industry-related ideas on this blog.